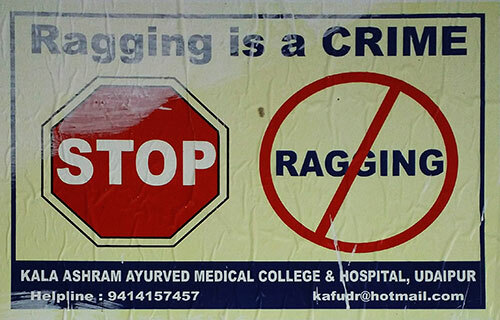 As per the notification in regard to prevention and prohibition of ragging in the College, as per the UGC regulations on curbing the menace of ragging in higher educational institutions, 2009 dated 17th June, 2009 (F.1-16/2007/CPP-II) and come into force on 04th July, 2009, the committee has been constituted to prohibit, prevent and eliminate the scourge of ragging including any conduct by any student or students whether by words spoken or written or by an act which has the effect of teasing, treating or handling with rudeness a fresher or any other student, or indulging in rowdy or undisciplined activities by any student or students which causes or is likely to cause annoyance, hardship or psychological harm or to raise fear or apprehension thereof in any fresher or any other student or asking any student to do any act which such student will not in the ordinary course do and which has the effect of causing or generating a sense of shame, or torment or embarrassment so as to adversely affect the physique or psyche of such fresher or any other student, with or without an intent to derive a sadistic pleasure or showing off power, authority or superiority by a student over any fresher or any other student, in all higher education institutions in the country, and thereby, to provide for the healthy development, physically and psychologically, to all students. To achieve these objectives the committee has been constituted. 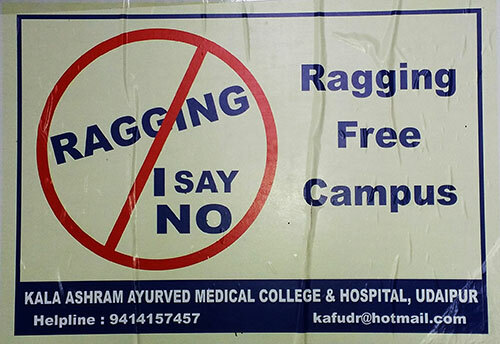 Student can contact the Chairman of Anti Ragging Cell: Mobile No. +91-9414157457 and with an alternative Mobile No. 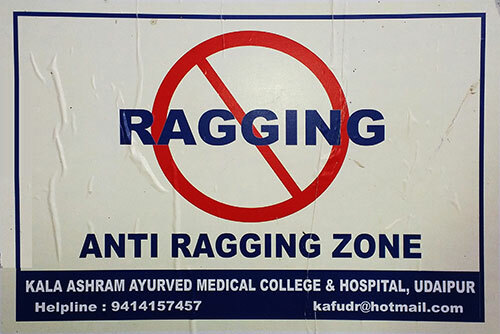 +91-9001163656 (Corporate Office). 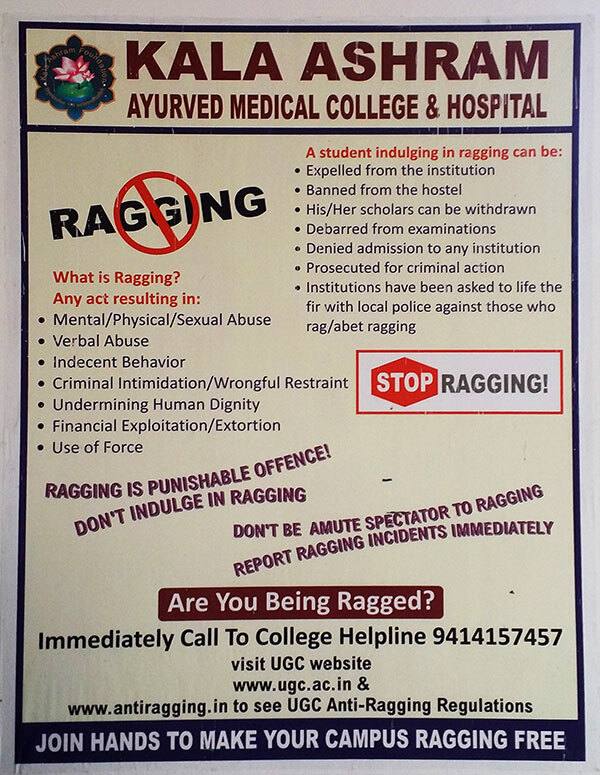 Ragging is totally banned in this college and anyone found guilty of ragging and/or abetting ragging is liable to be punished as it is a criminal offence.